Apple withdrew some apps from the Mac App Store, because they were spying on their users by uploading a zip-file with the user’s browser history from Safari, Google Chrome and Firefox to their servers. The apps we are talking about are Dr. Cleaner and Dr. Unarchiver, popular apps made by Trend Micro Inc. These apps requested permission to access the user's Home folder and then uploaded their browsing history. 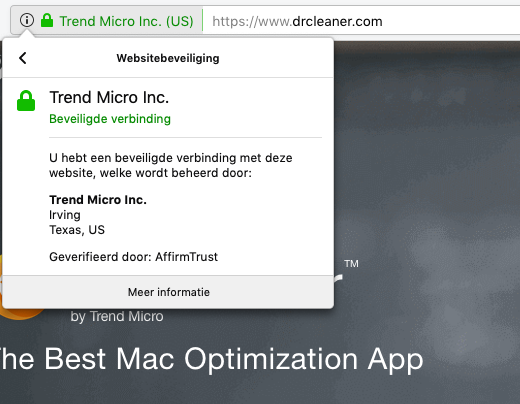 Well, that's pretty shocking: a well known anti-virus company, Trend Micro, is spying on their users on macOS!!! We are pretty sure it's the real, legitimate Trend Micro who's doing these evil things. When you visit drcleaner.com (when you try to download the app, you'll see the Mac App store link is removed!) you can see the certificate is signed by Trend Micro Inc. (US). The certificate is exactly the same as the one used on trendmicro.com! (We're a Dutch site, hence the Dutch language). 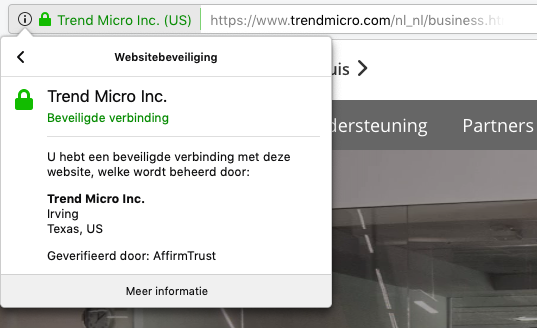 So, Trend Micro, the renowned anti-virus company, is very sneaky: stealing it's Mac users browsing history without telling it! Dr. Cleaner and Dr. Unarchiver: remove this spyware from your Mac!